If you’d like to get a head start on your new patient paperwork, you can download the forms below. Please use as much detail as possible completing the forms. Don’t worry if you can’t fill in all the blanks – we’ll review the forms with you during your consultation. The creation of a highly detailed prosthesis will always demand an artist’s finesse of rendering color and minute detail, but our process now combines our well-honed art skills with new digital scanning/3D printing technology to dramatically streamline the process for our patients near and far. We create your prosthesis in as few as 2 or 3 office visits or 3 or 4 consecutive days, depending on your location or preference. Our scheduling is very flexible and we will create a simple plan to accommodate your location and proximity to one of our treatment locations. 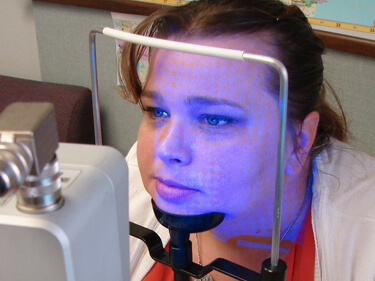 We use a soft impression material or 3D scanner, or both, to capture your exact facial contours. This way we have a precise 3D model of the involved area on which to build the prosthesis. 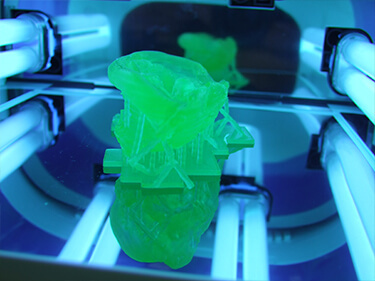 We develop a wax prototype based on photographs, available CT scans, and your direct input. 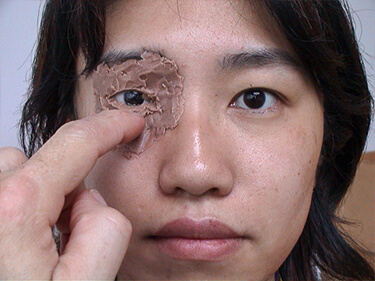 Its shaped on the model first, then you see your prosthetic prototype become increasingly detailed and accurate right in place on your face/body. Next we formulate all colors found in your skin including vein and freckle colors which when added in layers will make the prosthesis look like living skin. 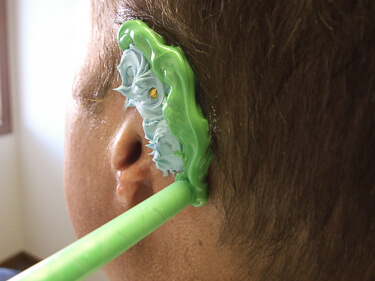 All this information allows us to produce your custom mold and prosthesis for a final tinting session where we instill the right skin-like surface quality and blend margins. 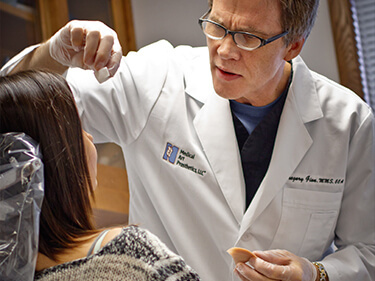 You receive your unique prosthesis along with all the aftercare instructions and supportive information and materials you will need to wear your unique prosthesis confidently.